The term “super fruits” has been in the news quite a bit during the past 10 years or so. Superfruits are typically defined as fruits that are dense in nutrients and may have many health benefits. I jumped on the super fruits bandwagon several years ago when I applied for a grant to work on alternative fruits. While I leave the discussion of health benefits to the medical community, I will share what I know and learned about some super fruits to help you make a more informed decision on how to incorporate them into your operation. What are some common super fruits? Since there is no official definition, the common ones I know are blackberries, blueberries, raspberries, and strawberries. You are welcome to add a few of your favorites to the list, too. Some of the alternative or emerging super fruits are aronia, elderberries, goji berries, and honeyberries. Aronia, Aronia melanocarpa, has received a lot of publicity during the last few years. 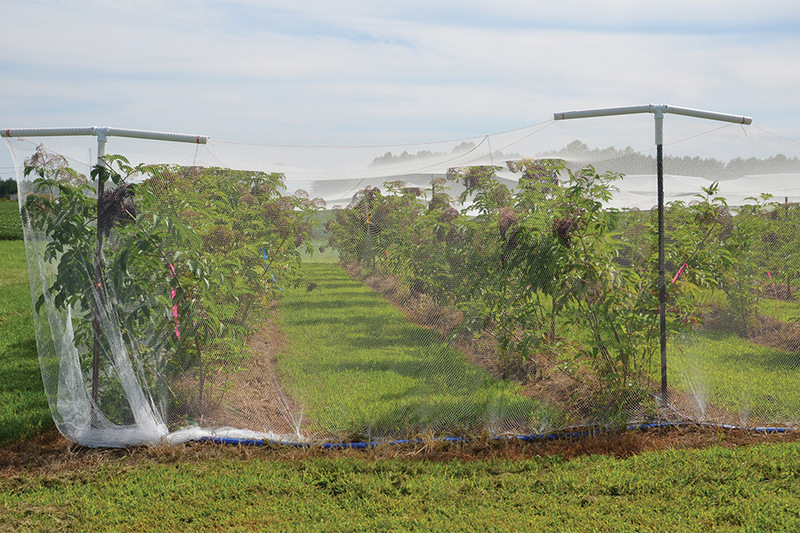 Known to have extremely high antioxidant capacity, growers in Iowa planted a lot of aronia, where the estimated total acreage is about 1,000 acres. There is also an increasing interest in aronia in Ohio. Elaine and Scott Chalfin of Risingsun, OH, planted an acre of aronia several years ago. I asked why they got into the aronia business. Since aronia is not for fresh eating, I asked how they use and market the fruit. If you are interested in aronia, you may want to join the “Aronia East of the Mississippi” Facebook group. Aronia is not hard to grow. ‘Nero’ and ‘Viking’ are two common varieties in the commercial trade. Even though its common name is black chokeberry, birds still like them when fruits are close to full maturity. I learned this the hard way! Bird netting, though expensive, is effective to prevent bird damage. Another super fruit, elderberries, have received plenty of press coverage due to their health benefits. My friend Patrick Byers with the University of Missouri has been doing research and Extension work on elderberries for more than 10 years. He told me there are more than 100 acres of elderberries in Missouri. Byers recommends the varieties ’Bob Gordon’ and ’Wyldewood’ for the Midwest. Both were good selections from Missouri and are American elderberries, Sambucus canadensis. There are also quite a few good cultivars of European elderberries, Sambucus nigra. Goji berries are another neat group of plants. The red goji berries are classified as Lycium barbarum or Lycium chinense. Black Goji berries belong to the species Lycium ruthenicum. Black goji berries are even more popular than red goji in China. However, there has not been much genetic improvement in back goji berries yet. 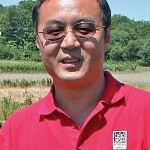 During the last 20 years, there has been much breeding work on red goji berries. I was lucky enough to visit Gansu Province in China two years ago and talked to a goji berry researcher. He told me there has been some cross-breeding between goji berries and cherry tomatoes for bigger, fruited goji berries, if you can still call these crosses goji berries. 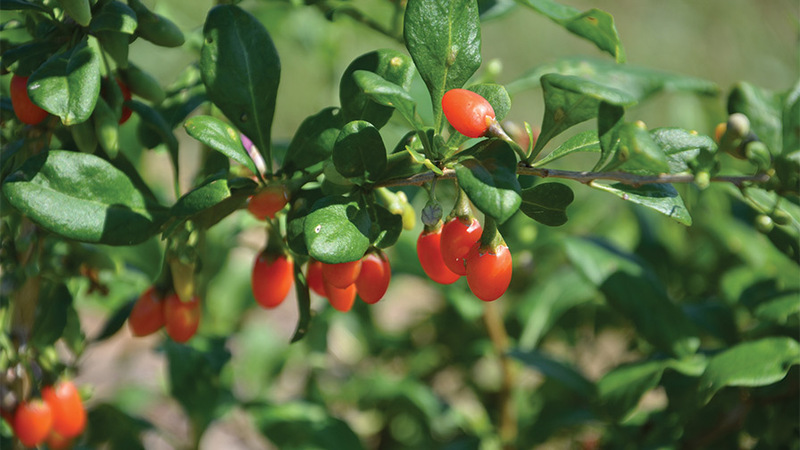 Many of the red goji berry cultivars in China are five or six generations ahead of what we have in the U.S.
Honeyberry, Lonicera caerulea, or haskap, has a strong preference for colder climates, such as Canada, Japan, Northeast China, Russia, Poland, and the Northern U.S. Honeyberries bloom and fruit very early in the season. Their fruits are dark blue and can be quite tart. 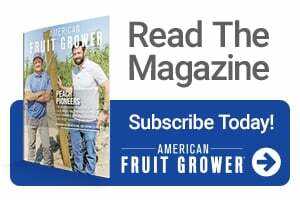 If you are thinking about growing alternative super fruits, I would start out small, grow a few different kinds for trial, and consider market demand. You may also want to develop some value-added products. I have tried elderberry jelly. It tastes great! Elderberry wine is very nice too. Elderberry flowers can be put in the pancake batter too. Yum! I also love dried goji berry in my tea or soup. But, that is just me. You need to figure out what your customers like and will pay good money for. Let’s raise a glass of aronia or honeyberry smoothie for health and profit!